Comprehensive prenatal and postpartum care for women regardless of age or income. There is a Registered nurse staffed Monday thru Friday. A physician clinic is held on Thursday afternoon. 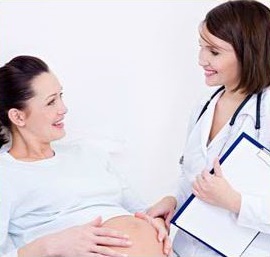 Prenatal care consists of physical exams, routine laboratory tests, nutrition counseling (by a dietitian) and social consults (by a caseworker). AFP Quad testing and CF (Cystic Fibrosis) Carrier testing offered for clients. All deliveries and sonograms are provided by Bethesda North Hospital. Patients will need a positive pregnancy test by a physician, hospital or clinic. They will come in for an admission visit which consists of giving a medical history and basic genetic screening. Patients will be offered genetic counseling and testing. Patients will need to give a urine and blood sample at the first visit. Blood pressure will be screened and weight recorded. Patients will meet with a caseworker and a dietitian and be referred to WIC at the first visit also. Once the patient is established through the clinic she will come back to see the OB physician for a physical exam. Several lab tests will be performed according to gestation throughout pregnancy. Charges are on a sliding scale fee based on household size and income for clients without Medicaid. Medicaid and managed care providers such as Caresource, Molina, Buckeye, and Paramount are accepted. We also accept some private insurance. Please inquire when making an appointment. If you do not have insurance and do not fit into the sliding fee scale please ask us about a contract with Trihealth.